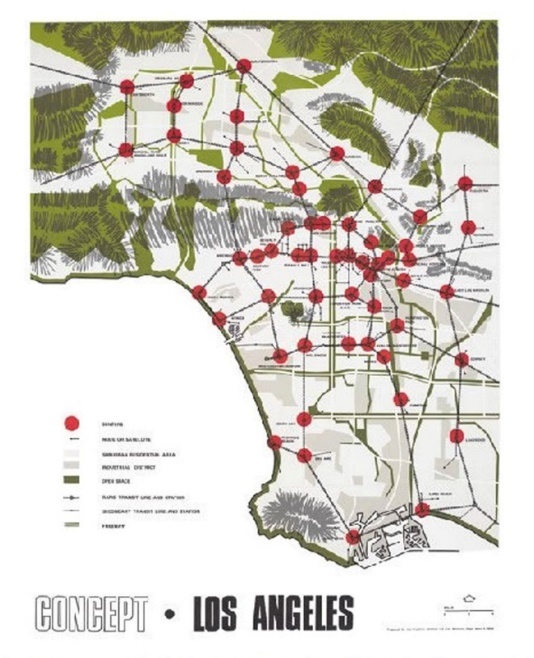 In 1974, the Los Angeles City Council adopted the iconic Los Angeles Centers Concept as the blueprint for the long- range development of Los Angeles. Our upcoming colloquium will explore why the Centers Concept was needed, how it was adopted, and what the legacy is of this 50-year-old vision for the second largest city in the nation. How did the Centers Concept re-shape Los Angeles in the decades that followed, and in what ways were the Concept’s inspirations not fully realized? Given today’s urban needs including an expanding transit network and pressures for development, our panel of experts will discuss the continuing relevance of the Centers Concept in the future planning of the City of Los Angeles. Registration is $50 per person; for students with valid student IDs, $25. The fee includes morning coffee/tea service, the colloquium, and lunch. Last date to order tickets will be March 8, 2018. Separate admission to the Huntington Library is NOT required to attend the colloquium, but is available for those who wish to explore the grounds after the Colloquium concludes. For more information, visit us at www.larphg.org.